Although occasionally presenting as an acute infection in short-term travellers , overt manifestations of strongyloidiasis are often absent, subtle, or very non-specific, becoming apparent only decades after exposure. Chronic presentations can include isolated eosinophilia, refractory gastritis, abdominal pain, or chronic pruritic migratory skin lesions (larva currens) [20, 21, 22]. The most severe forms of strongyloidiasis are paradoxically attributable to its insidious and autoinfective nature, since undiagnosed, lifelong infections can result in a fatal dissemination syndrome when the Th2 immune response becomes impaired by immunosuppressive medications or viral co-infections, such as HTLV-1 [10, 23]. The trifecta of increasing migration from high-prevalence source countries, ever-expanding use of iatrogenic immunosuppression in the care of Canadian patients with many different types of inflammatory and malignant illnesses, and the lack of access to ivermectin culminated in frequent cases of fatal disseminated strongyloidiasis across Canada. These occurrences motivated the Committee to Advise on Tropical Medicine and Travel (CATMAT), an external advisory body to the Public Health Agency of Canada, to draft national guidelines on the subject in order to reduce country-wide morbidity and mortality . Yellow Fever (YF) is an arbovirus from the genus Flavivirus, with non-human and human primate reservoirs, transmitted by infected Aedes and Haemogogus mosquitoes . YF is endemic in 29 sub-Saharan African countries, and in 13 countries of tropical South America, resulting in an estimated 200,000 cases with 30,000 annual deaths in endemic populations . Three transmission cycles exist: sylvatic, with primate-to-human transmission; intermediate, with primate- or human-to-human transmission; and lastly urban, consisting of human- and peri-domestic mosquito transmission [26, 27, 28]. Transmission often occurs when humans encroach jungle borders for occupational or recreational activities [26, 27, 28]. It is estimated that YF causes mild disease in 80–90% of infections situated in endemic or transmission areas, with severe disease manifesting in ~ 15% [28, 29, 30]. Poor diagnostics in endemic areas, multiple competing co-endemic flaviviruses affecting performance of serologic testing, and variable immunization scheduled in risk areas hinder our understanding of the true seroprevalence of infection. Symptomatic infection lasts 3–6 days with sudden onset of fever, chills, headache, myalgia, prostration, nausea, and vomiting. After a period of remission of hours to days, the second phase of disease may present with fever, jaundice, hemorrhagic symptoms, shock and multisystem organ failure . Case fatality for individuals with hepatorenal dysfunction is 20–50% [28, 29, 30]. Presumptive diagnosis of YF is often based on clinical features (including febrile jaundice), travel history, activities engendering mosquito exposure, and epidemiological history . Given the wide differential diagnosis that includes other severe tropical infections such as malaria and leptospirosis, laboratory confirmation is required . While treatment of YF has historically consisted of supportive and critical care management, small scale data are emerging out of Brazil suggesting that sofosbuvir, a drug used to treat hepatitis C, another flavivirus, might have clinical efficacy . Prevention of YF is achieved through mosquito avoidance, breaking perpetuating transmission cycles, and most effectively, vaccination . Vaccination is recommended for all eligible persons aged ≥9 months, traveling to places where YF transmission occurs, and given at least 10 days before travel [33, 34, 35, 36, 37]. Since 2016, the WHO has advised that a single dose of YF vaccine confers life-long protection and that boosters are unnecessary, except in some immunocompromised populations [38, 39]. For most travelers, one dose of YF vaccine provides long-lasting protection [33, 35, 36, 37, 38, 40]. Individuals traveling to areas with YF outbreaks may consider a booster dose if over 10 years have elapsed since last vaccination [33, 35, 40]. 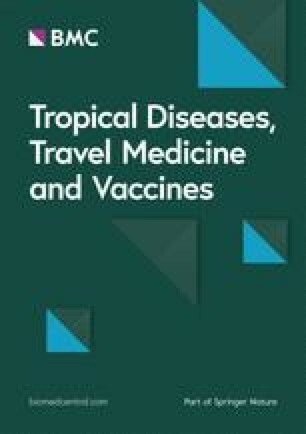 Travelers who have never been vaccinated against YF should avoid traveling to endemic or outbreak areas [33, 35, 40, 41]. Human African Trypanosomiasis (HAT), also known as sleeping sickness, is a fatal neglected tropical disease that affects approximately 70 million people living in sub-Saharan Africa. Although it can affect travelers returning from endemic areas, the large majority of people who develop the disease live in rural and isolated areas where health systems are often weak or non-existent [48, 49, 50, 51]. Untreated disease leads to coma and eventual death . HAT can affect both humans and animals, thereby causing major challenges in the areas of food security, health, agriculture and economic growth, and importantly, eradicability . Considered a significant public health problem, the WHO has targeted elimination of HAT by 2020 . Traditionally, the treatment of HAT involved four drugs including pentamidine, suramin, melarsoprol, and eflornithine, with the more recent addition of nifurtimox-eflornithine combination therapy (NECT). Pentamidine and suramin are still used to treat early stage disease with T. b. gambiense and T. b. rhodesiense, respectively, and are administered parenterally . The only treatment for late stage T. b. rhodesiense, which was also used for late stage T. b. gambiense for decades, is melarsoprol, an arsenical causing a post-treatment reactive encephalopathy, which itself has an associated mortality rate of 5.9% [55, 56, 57]. Melarsoprol requires parenteral administration, hospitalization, and close monitoring due to toxicity. In 1990, eflornithine was licensed for the treatment of T. b. gambiense and offers a safer option than melarsoprol but still has a high adverse event profile. Like melarsoprol, eflornithine requires multiple daily infusions, often difficult in a remote or rural setting where HAT is endemic [56, 57, 58]. In 2009, NECT was introduced for T. b. gambiense, which involves a combination of oral and IV therapy and a simpler and more cost-effective regimen . While NECT significantly decreased the number of incident cases, and is therefore deemed effective, it still requires hospital admission, sterile equipment for lumbar puncture, and trained health care professionals in extremely short supply in HAT endemic areas  (Table 2). Several randomized controlled trials have evaluated the safety and efficacy of tafenoquine as radical cure and found it to be non-inferior to primaquine [64, 65, 66]. The study participants in all studies were non-pregnant adults with G6PD activity levels > 70%. All arms of these studies included 3 days of chloroquine treatment, with tafenoquine (TQ) being administered as a single dose of 300 mg compared to primaquine (PQ) as 15-mg doses daily for 14 days (Table 4).